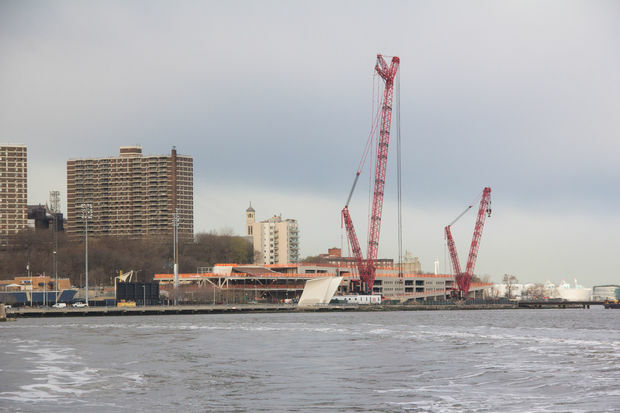 Crews for the New York Wheel installed a giant, 460-foot-tall crane at the site to build the attraction. The wheel will stand 170 feet taller than the crane. The crane building the giant New York Wheel may be the high point of the St. George's skyline right now, but even its monolithic height will eventually be dwarfed by the full size of the new attraction, which is racing to become the tallest observation wheel in the world. 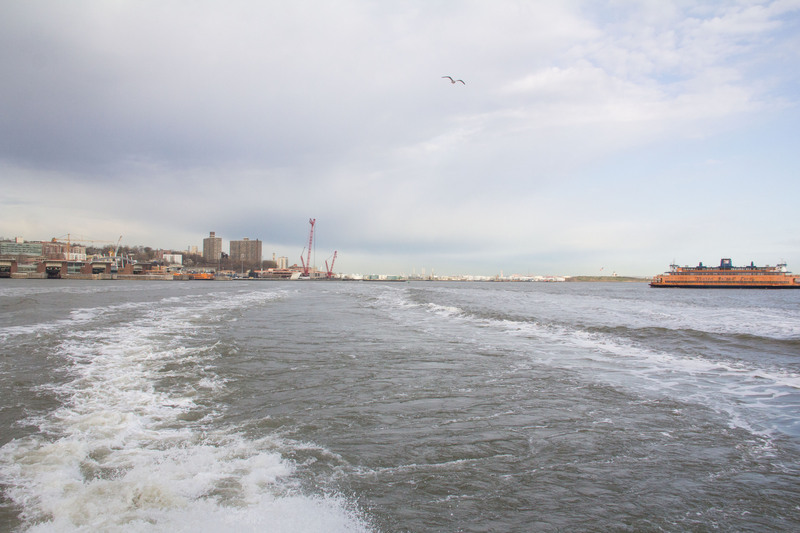 The New York Wheel will stand a whopping 630 feet — a full 170 feet taller than the crane now being used to construct it — when it takes over Staten Island's shoreline later this year. Crews installed the 460-foot-tall crane at the construction site adjacent to the St. George Ferry Terminal last month, according to the developers. They used a smaller, 380-foot-tall one to build it. The 1,000-ton crane is capable of lifting 1,350 tons. It will be used to put pieces of the New York Wheel in place, including the 275-foot tall legs, which arrived in Brooklyn in September. Developers expect to finish construction on the actual wheel in the fall, but test the attraction's safety until April 2018, when the ride is scheduled to open to the public.